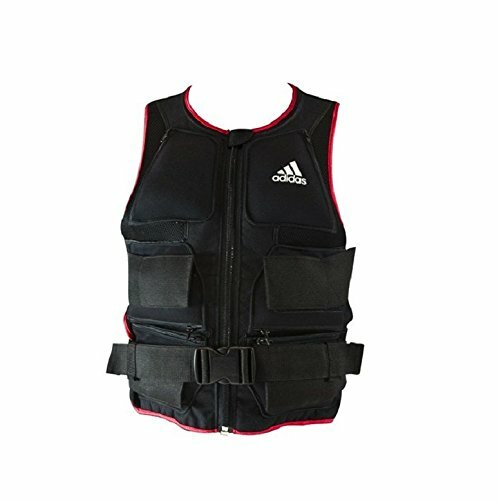 1 What are weighted vests used for? 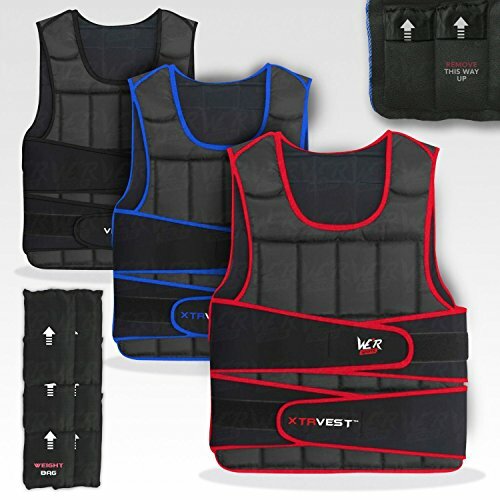 What are weighted vests used for? Weight vests are simply used to add some bulk and weight to your body so that when you go about your exercise routine you’re shifting more weight and so working harder. If you’re running and you normally weigh 80kg then your body is used to moving that weight around the trail. Add a 10kg weighted vest and your body has to carry more – so you’ll burn more calories, work your muscles harder and as such build them up more. Once you’re used to running or training with added weight it can also help you when you don’t have it on as you’ll feel a whole lot lighter (literally!) and you’ll be flying! They are great for doing bodyweight exercises such as dips, pull ups and squats – if you feel like you want to increase your resistance in this area a vest would be a great addition to your workout. The best thing is that they easily add more difficulty to a routine you already have without adding in a whole lot of new equipment – I highly recommend them! The best thing about weight vests are that they fit on your torso and generally allow you to carry on your workout without impeding your movement. Some are bulkier than others though so you want to bear that in mind and this might be a concern if you are training and using a lot of different moves. Some vests also have removable weight pouches which again is great for longevity of a product! You can start at a lower weight and increase as you feel more comfortable. Just keep the weight even on your body and you should be fine. One of the best sellers at the moment is this vest from JLL. It comes in a variety of different sizes so no matter how new you are to adding weight in this way or if you’re looking to increase you’ll find one to suit. The vests come in 10kg, 15kg, 20kg, 25kg and 30kg sizes and the weight is distributed through the pockets on the vest. 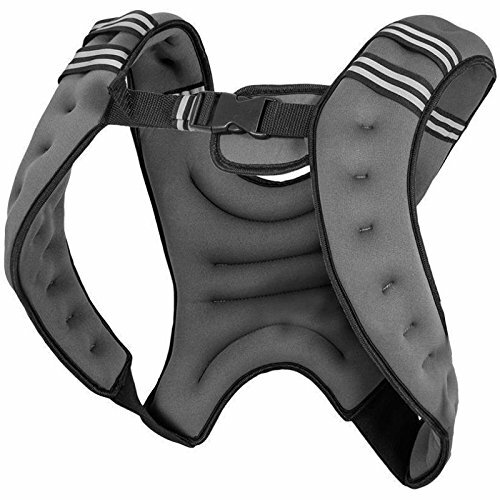 The vest is fully adjustable with 2 long velcro straps that fit around the midriff. It comes in a black colour and is padded for added comfort. It’s a good basic vest that has lots of pockets so the weight be easily adjusted however you like. This one comes in 14kg and 18kg sizes and in three colour ways – the gold version shown above, a blue and also a pink. It has less options for being adjustable – the weighting is long tubes that fit down the vest. While this looks less bulky than some other options it provides less options for removing weight as you’d want to keep it all balanced. However it’s a good design in that it keeps the bulk away from your arms and is good for movement. 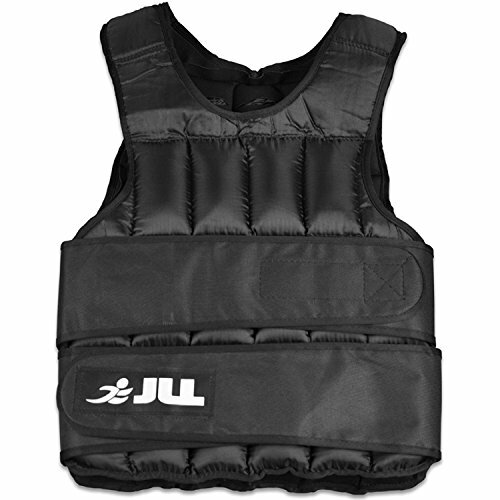 A similar design to the JLL vest above – this one has an added advantage of coming in a much lighter version (5kg) and also having some colour trim on the vest. This one is very popular on the market today as a good value weighted vest that isn’t too expensive. It comes in a variety of sizes – the smallest is 5kg and there’s also a 10kg, 15kg, 20kg and 30 kg option too. The lighter option means that this can be more suitable for women and also those looking to just increase slowly. There’s a one year warranty with this item too. A great option for a good value workout vest! If you’re looking for a more premium weighted vest from a good brand then this one from Adidas is probably more up your street. It’s the most expensive on this page but it’s a really good vest that provides a great workout for you. The vest is 10kg with removable weight inserts to change up your exercise routine. It’s machine washable (so important with a sweaty workout!) and can fit a chest up to 50 inches. It’s made of a soft breathable material which is comfortable even if you’re wearing it next your skin – very good for warm weather workouts. A great item and part of a range of weighted exercise products from Adidas like gloves and also ankle weights. 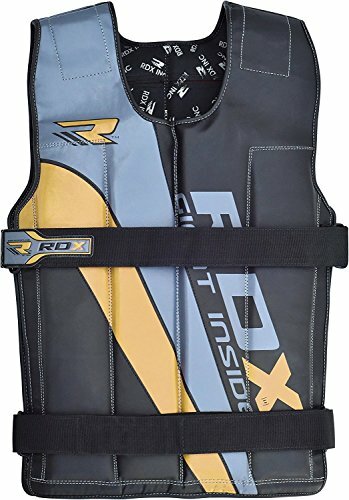 Finally we have this weight vest which is a much different style than the others on this page being an ‘x-style’ shape. It’s much less bulky and looks a lot better too if that’s an issue. The weight it distributed evenly through the whole vest and unlike the others on this page it is not adjustable. You must just use the weight that is on the vest and that’s it. So, what it gains in looks and the minimalistic style it sort of gives up with the versatility. However if you know that you only want to add a certain weight and don’t want the bulkiness of the other styles it could work well for you. It’s made of a neoprene fabric and has a mesh holder on the back for a water bottle should you need that. There’s a chest strap to help hold it close to you too. It comes in a 5kg, 8kg and 10kg version.